1884 - Original School was built on this land donated by John H. Starin. 1899 -First Class new Regents system. Jan 8, 1923 - Destroyed by fire. 1924 - School built to replace original destroyed by fire. 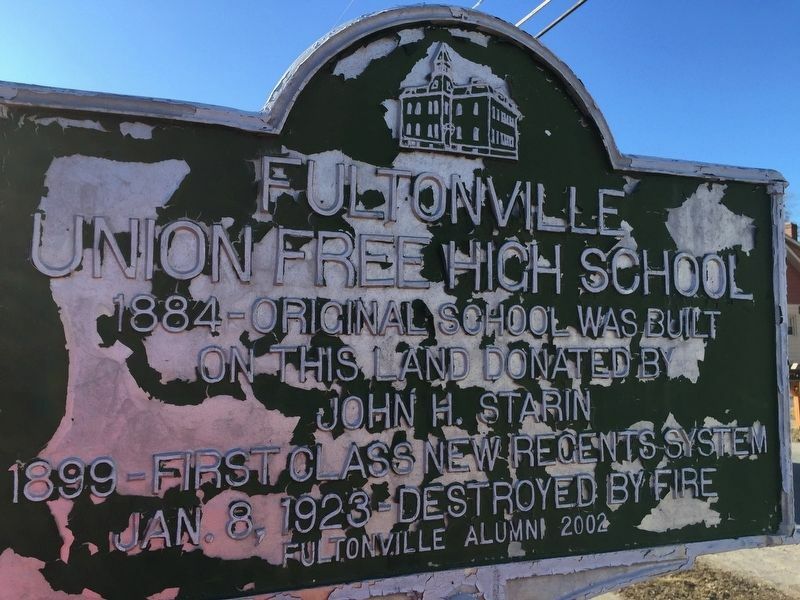 Erected 2002 by Fultonville Alumni. Location. 42° 56.875′ N, 74° 21.975′ W. Marker is in Fultonville, New York, in Montgomery County. Marker is on Union Street, on the right when traveling east. Touch for map. 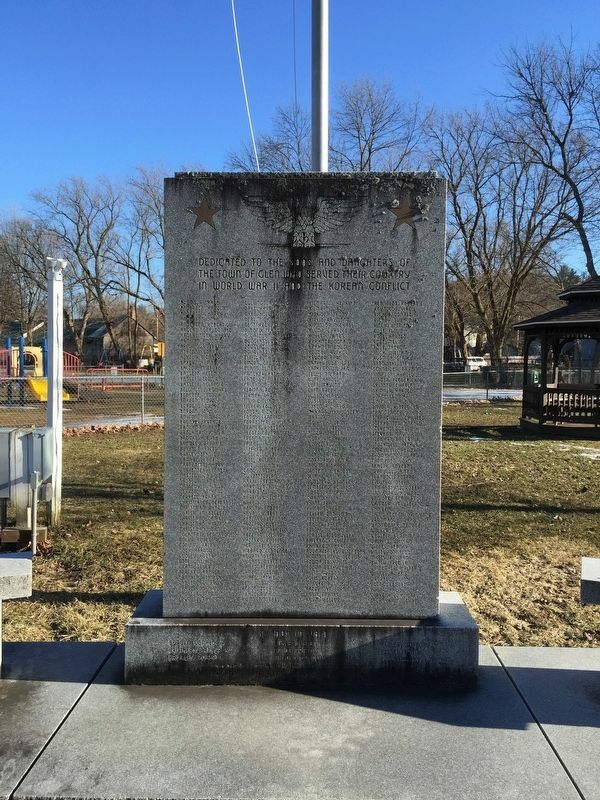 Marker is between Washington and Franklin Streets in a small park with playground and veterans memorial. Marker is in this post office area: Fultonville NY 12072, United States of America. Touch for directions. (approx. 0.6 miles away); Fonda Cemetery (approx. 0.6 miles away); Caughnawaga 1667 - 1780 (approx. 0.6 miles away); Tryon County 1772-1784 Montgomery County 1784 (approx. 0.6 miles away). Touch for a list and map of all markers in Fultonville. More. 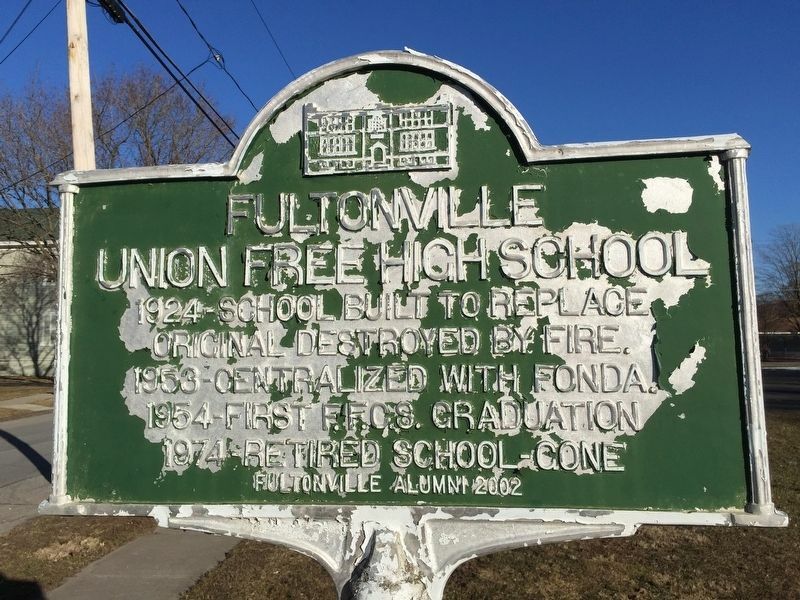 Search the internet for Fultonville Union Free High School. Credits. This page was last revised on March 29, 2019. This page originally submitted on March 25, 2019, by Steve Stoessel of Niskayuna, New York. This page has been viewed 36 times since then. Last updated on March 26, 2019, by Steve Stoessel of Niskayuna, New York. Photos: 1, 2, 3. submitted on March 25, 2019, by Steve Stoessel of Niskayuna, New York. • Andrew Ruppenstein was the editor who published this page.